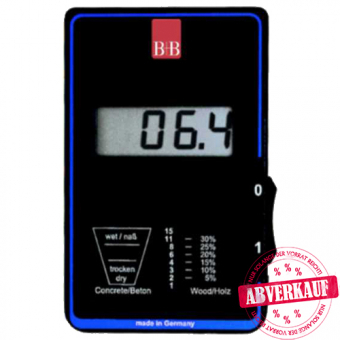 With the aid of the IM15 humidity measuring device, the user can detect humidity in wood down to 3 cm depth, in concrete and pavement down to 4 cm depth. Humidity can be detected even behind ceramic floor tile and different wall- and floor coverings. The process of measurement is very easy, just put the IM15 flat on the object of interest and read out.